Discover who the top 20 poker tournament players from the UK & Ireland are as we start 2019. It is the start of a brand new year so the perfect time to take a look at the first Global Poker Index rankings for poker tournament players from the United Kingdom and Ireland. With the 2019 PokerStars Caribbean Adventure in full swing, the PokerStars Players Championship (PSPC) set to award $5.1 million to its champion and this amazing festival being followed up by the 2019 Aussie Millions, the top 20 players in the UK and Ireland could undergo a major reshuffle before the first month of the new year is complete. The UK starts 2019 with Stephen Chidwick leading from the front and by quite the margin. Originally from Deal, Kent but now residing in sunny Mexico, Chidwick is the only British player to be ranked in the worldwide top 10, currently occupying third spot. Chidwick enters the new year with an 848.92 cushion between himself and Niall Farrell in second-place. Rankings positions third through eights are bunched up and a half decent score from any of those players would likely see them leapfrog their fellow countrymen. All of the top seven players in the UK find themselves ranked in the worldwide top 100 as of Jan. 8, 2019. World Series of Poker Europe Main Event champion Jack Sinclair, Jack Salter, Team partypoker’s Ludovic Geilich, Adam Owen and Aymon Hata are those top seven players in the UK. GPI made a song and dance about its top 300 ranked players in the world and the UK has 13 players in the GPI 300. Ben Heath, satellite specialist Tom Hall, Max Silver, the legendary Chris Moorman, Scott Margereson and Grosvenor Poker sponsored pro Andrew Hills, in addition to those players already mentioned, currently rank in the top 300 players on the planet. Ireland starts 2019 with Marc MacDonnell at the top of the table with a near 800-point gap between Patrick Clarke and himself. MacDonnell, who won the 2018 Irish Player of the Year, is the only Irish player to find themselves in the worldwide top 50, currently occupying 31st place. Clarke, former Irish Open winner Dan Wilson, and Gavin O’Rourke are the Irish grinders who are part of the GPI 300. 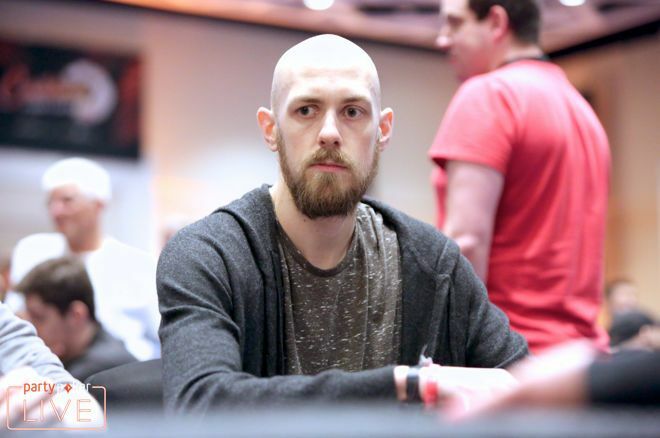 Unibet Poker duo Dara O’Kearney and David Lappin find themselves in eighth and 13th place respectively, while former WSOP Main Event final table member Andy Black begins 2019 in 11th spot. A solid result for any of Ireland’s top 13 players would see them soar up the rankings in the Emerald Isle. You can follow all the action from the 2019 PokerStars Caribbean Adventure right here at UK & Ireland PokerNews.